Ferment like never before! 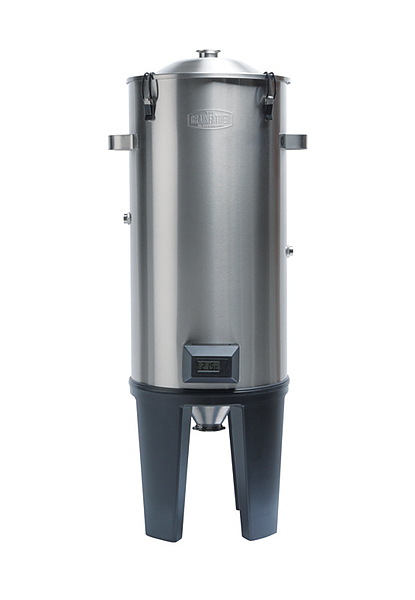 The Grainfather Conical Fermenter gives the brewer professional fermentation control, just like the commercial breweries. Fermentation is arguably the most important part of producing a good quality beer. A good fermentation environment starts with a clean and sterile fermenter, has a consistent controlled temperature base and exposure to oxygen is minimised. 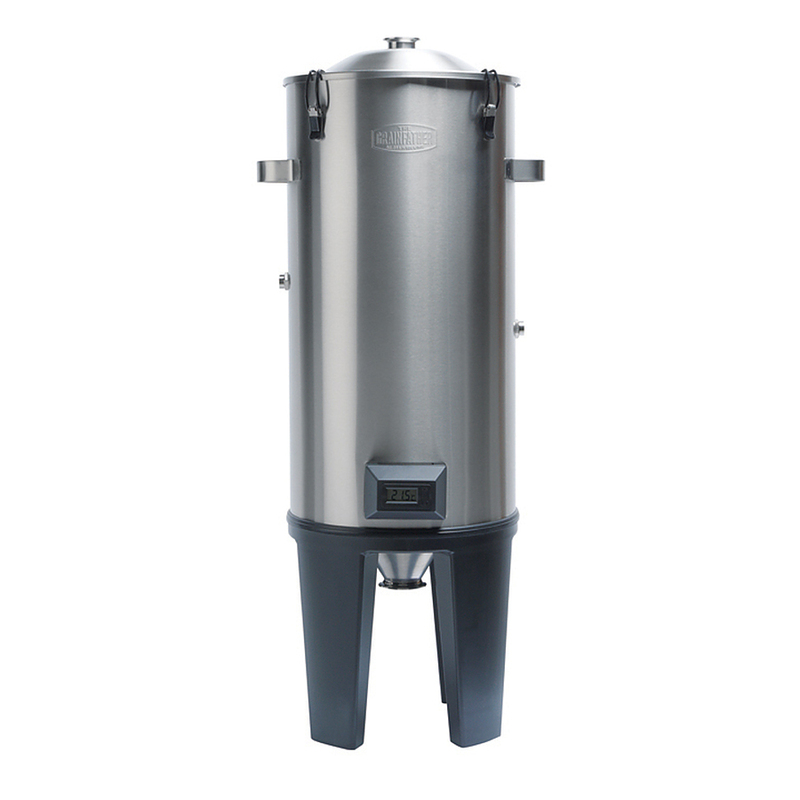 The Grainfather Conical Fermenter provides you with a modular system for all of this and more! 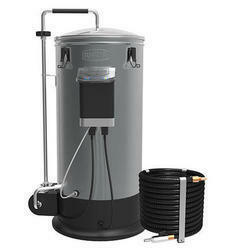 The basic unit provides a professional quality fermentation environment for any beer style and a range of add ons are also available to further enhance the fermenter, depending on your stage of brewing and your budget allows. • Double Walled: A stainless steel double walled skin is filled with a thick layer of polyurethane foam for insulation. This is what keeps the wort at a constant stable temperature with minimal influence from any external environmental temperature changes, providing insulation for your fermentation that a standard jacket cannot achieve. 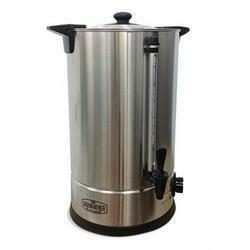 • Integrated Gentle Heating: In the cavity of the fermenter between the outer body and cone sits a 30 Watt, 12 V heating element. Unlike standard heating elements/sources that directly heat the liquid, this heat source is designed to heat the environment in between the walls of the fermenter, which in turn heats the liquid. It is similar to controlling the temperature in a temperature controlled room. 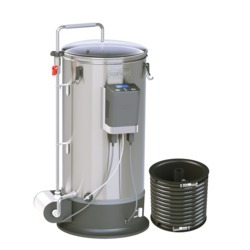 The fermenter acts as an artificial environment which can be heated, meaning the temperature is raised in an even and controlled manner which is much better for the yeast. • Integrated Cooling Sleeve: In between the two stainless steel walls sits a cooling sleeve (also made of stainless steel). This cooling sleeve is welded onto the inner wall of the fermenter and can be hooked up to the additionally purchased Glycol Chiller. Temperature is dialed into the Temperature Controller and as the cooling liquid travels through this sleeve, it cools the stainless steel which in turn evenly cools the beer in the fermenter. The cooling sleeve never comes into contact with the beer, it is completely concealed, built into the fermenter and never needs cleaning or sanitising - a true innovation for a fermenter of this scale.